The relentless advance of technology in creating, gathering and harnessing big data is opening up new frontiers in the banking, financial services and insurance industry. It doesn't take much time these days to convert a prophecy to reality. The digital revolution has created new economic and business models wherein your biggest customer now has the potential to become your biggest rival. Services and apps to deliver quick, convenient and cheap financial services through fintech tools are on the rise. Tools like CRM for financial services. 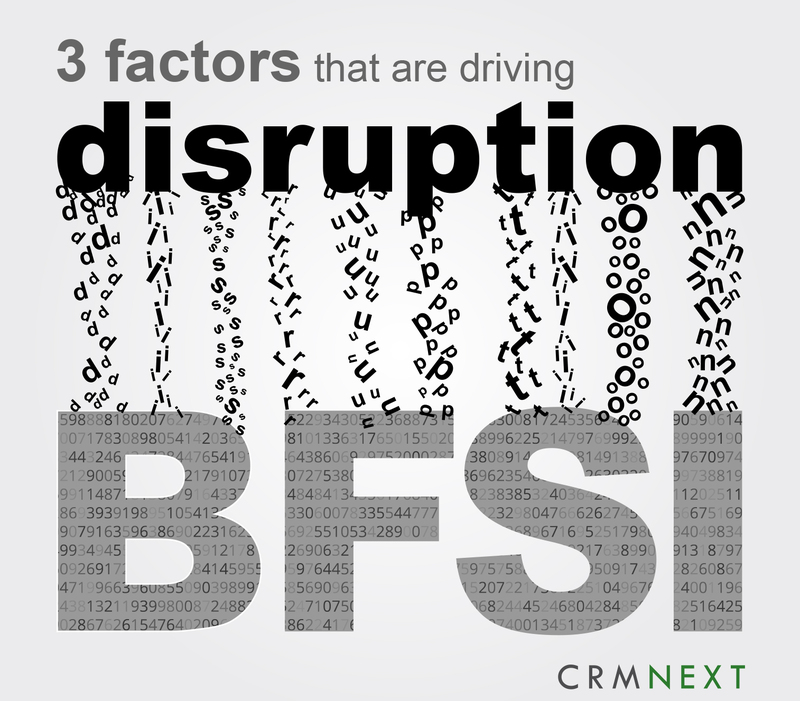 So what are the factors driving these disruptive trends? Managing human behavior is a challenge. You can have more luck predicting the weather than forecasting human behavior and tastes. But one taste will remain consistent throughout. The taste for convenience. Today, convenience is measured in minutes, not hours or months. It was the desire to meet this need that nudged the wave of digital. Another consideration was cost; digital saves you money and enables you to deliver more from less resources. The meaning of digital depends on whom you ask. To some, going digital means moving to a paperless or less paper. To others, it means a hybrid business model where online and offline take convergence for the greater business good. For example, CRM in insurance has made it possible to complete KYC formalities, disbursal, claim management online, thus resulting in instant gratification. To some others, it means going completely online with digital assets powered by mobility and intelligent tools like analytics, modelers etc. Whatever be the path, the ultimate goal of businesses is to deliver delightful customer experience. However, progressing through subsequent stages of digital evolution requires a different set of resources and involves a whole new learning curve. Digital cannot be just a trove of innovative ideas. The ideas have to be executed, despite challenges, to make transformation a reality. A wide range of adaptable and scalable technologies, some that are bleeding-edge, may be needed for enabling digitization. Remaining attached to legacy systems is no longer merely troubling, they are a concrete roadblock to growth. With the help of a thought out and intuitive digital journey, an example may be credit card application (powered by CRM in Banking)with the help of smart digital designers), a customer will have exquisite moments as well as instant gratification. With data becoming as plentiful as water, new metrics on key performance and critical indicators with the help of data and analytics are necessary for business stakeholders to successfully deploy and operate their business. Dial D for going digital to offer customer delights with the help of CRM solutions.